Like a gunslinger shot to doll rags and prematurely left for dead, the legendary maker of Colt firearms emerged with guns blazing Wednesday from Chapter 11 bankruptcy. Colt Defense LLC said it has completed its financial restructuring and emerged from the Chapter 11 process. Colt had filed for bankruptcy last June, saying it was unable to pay bills and debt of $384 million. Colt is one of the world’s leading firearms manufacturers, supplying civilian, military and law enforcement customers throughout the world for more than 175 years. History and Hollywood have combined to ensure there is no more iconic symbol of the American West than the Colt revolver. From Shane, High Noon, the Magnificent Seven and Hang ‘em High, the good guys always wore Colts. Samuel Colt founded his eponymous company in 1855. His earliest designs popularized the revolver and made obsolete existing single-shot pistols. The most famous Colt products include the 1847 Colt Walker, the Single Action Army or Peacemaker, and the Colt Python. 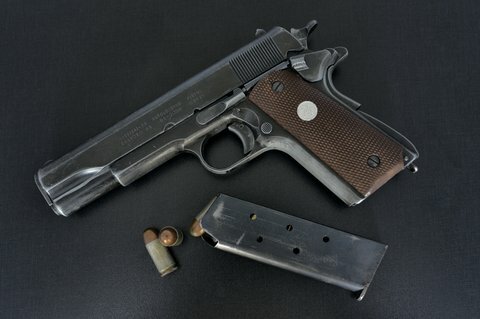 The Colt M1911 pistol is still used by law enforcement and military around the world today, longer than any other firearm.